"The Haus" was the biggest urban contemporary art project in Berlin 2017. A 5-Floor Bank Building transformed by 165 artists from all over the world. 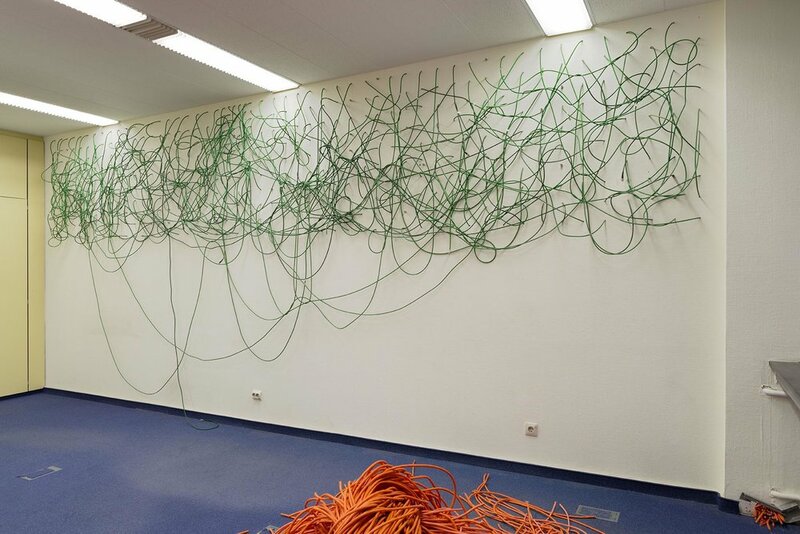 The cable system from the building supplied the material for this unique project. Collecting all data cables from the cellar to the roof made "The Haus" basically wireless. resembling a painting, a drawing and a sculpture.